Shoots and Tendrils: My birthday treats! I had a very special birthday! 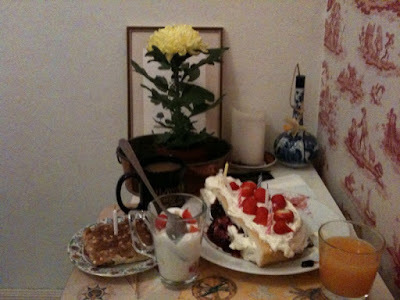 My man gave me our traditional half cake with delicious berries and cream, which he baked at 5am! 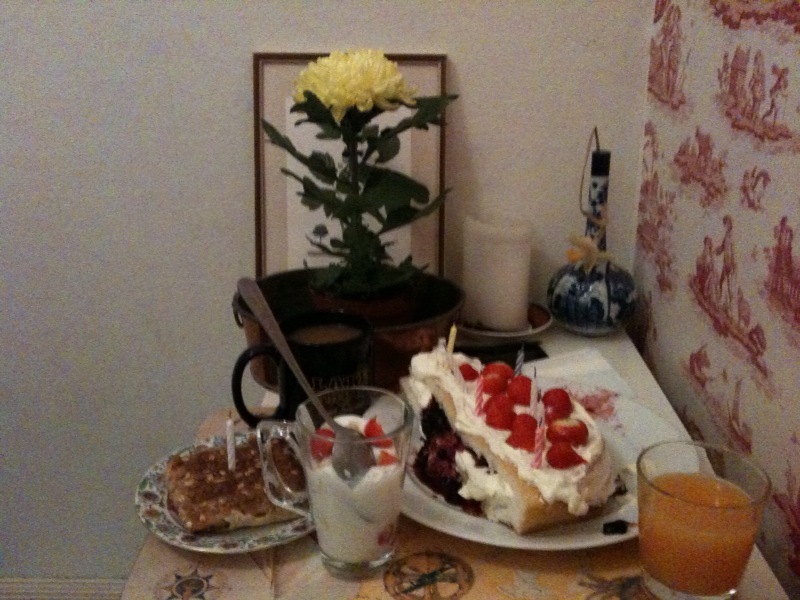 Along with the cake, he served me breakfast in bed. I was showered with presents and flowers and for lunch, we ate the most delicious chanterelle sushi! Only in Sweden! For dinner he served whole artichokes with lemon butter and pasta. It was perfect. 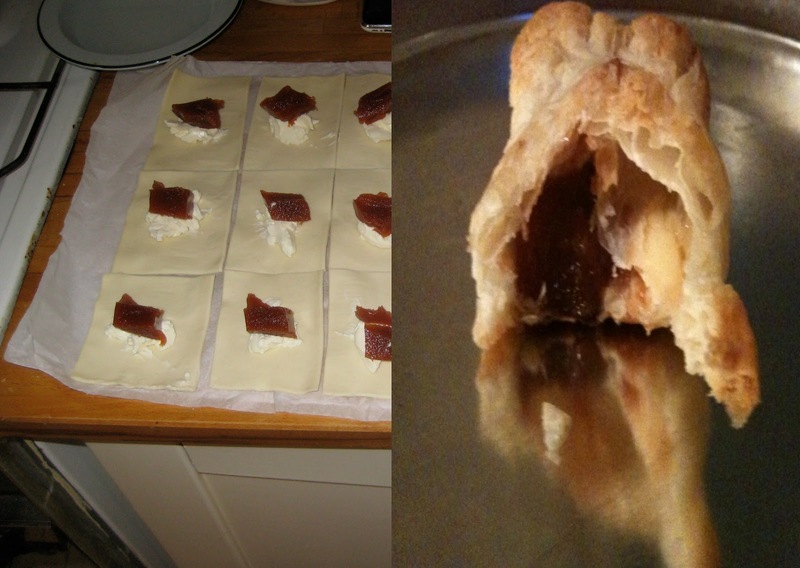 For the birthday fika on the weekend, we baked all day! We made my aunt's famous chocolate tarts and guava and cheese pastries, which will forever remind me of Miami (and Key West - you can find them at Publix!). Everyone loved everything and we were pleased with the way everything turned out and so glad for the people that came.